As an aspect of the Anti-Drug Abuse Act of 1988, the High Intensity Drug Trafficking Areas (HIDTA) Program was established. Operating under the Office of National Drug Control Policy (ONDCP), the purpose of the HIDTA Program is to measurably reduce drug trafficking and production in the United States by facilitating cooperation among federal, state, local, and tribal law enforcement. The Appalachian segment consists of 83 counties in West Virginia, Kentucky, Tennessee and Virginia. Over the years, however, trafficking and abuse of heroin has made its presence known throughout the region, leaving the AHIDTA AOR (Area of Responsibility) with an overall “opioid” threat that is devastating the communities. Methamphetamine abuse, cocaine, synthetic drugs, and drug-related violence also pose significant threats to the Appalachia HIDTA AOR. Areas such as Detroit, Columbus, Atlanta, Pittsburgh, parts of Alabama, and areas along the southwest border and Mexico are all hubs for distribution into the AHIDTA region. Transportation of drugs into and out of the AHIDTA area is accomplished primarily by private vehicles, yet parcel service companies and U.S. Postal Service (USPS) are frequently utilized as means of trafficking drugs and illegal proceeds. "Of the 119 completed surveys, nearly 40% of law enforcement agencies responding reported heroin to be the greatest threat to their area. Additionally, of the same agencies represented in the survey, 31% and another 20% listed diverted pharmaceuticals and ICE methamphetamine, respectively, to be their greatest threat. Nearly all of the agencies that provided a response indicated a moderate to high availability of heroin, methamphetamine, diverted pharmaceuticals, and marijuana. While heroin is most certainly available across the AHIDTA states, West Virginia seems to be the front runner on higher availability, a trend that has maintained itself over the past decade. Although AHIDTA task force seizures indicate a significant upswing in cocaine, analysis of survey responses overall were indicative of low to moderate availability in their respective areas; 34% of all agencies reporting powder cocaine to be in low availability. Powder cocaine appears, at this time, to be more prevalent in Kentucky than any of the other AHIDTA states." "The Appalachia region is faced with a multidimensional threat from opioids in general. Heroin and diverted pharmaceuticals (such as hydrocodone, oxycodone, morphine, etc.) have been widely available and simply “trade-off” with regard to supply and demand. When heroin is in high demand, CPDs are low, and vice-versa. This trend has been witnessed through the seizures of Appalachia HIDTA task forces, as well as survey data collected from law enforcement across the AHIDTA area." Origins of the drugs distributed in Appalachia range from Cincinnati, Cleveland, and Pittsburgh all the way to the southwest border and Mexico itself. Diverted Controlled Prescription Drugs (CPD) originate from from Michigan, Ohio, Georgia, North Carolina and areas within Tennessee. Diverted pharmaceuticals have traditionally posed a significant threat to the AHIDTA region and show no signs of a change to the trend in upcoming years.
" d. Drug trafficking organizations (DTOs) operating in the Appalachia HIDTA region have traditionally been family based. These organizations, however, do extend across, and outside, the region, and include general drug-related partnerships between individuals. Historically, groups that operate within the geographic contents of the AHIDTA AOR are made up of Caucasian, African-American, and Hispanic/Mexican DTOs with very little influence from other ethnicities. These DTOs are the principal drug distributors at the wholesale level. DTOs, criminal groups, street gangs, and on a minor scale, outlaw motorcycle gangs (OMGs) distribute a variety of drugs at the retail level throughout the AHIDTA region. These groups and organizations are typically controlled by a very limited variety of ethnicities. The distribution pattern, by way of Caucasian, AfricanAmerican and Hispanic DTOs, has maintained itself over the last decade. The primary sources, outside of the Appalachia HIDTA, for DTOs which operate within the AHDITA AOR are located in Michigan, Georgia, Ohio, North Carolina, California, Texas and Mexico. California and Texas based DTOs have only begun to have involvement in drug trafficking to the Appalachia HIDTA region over the last few years. Georgia has had a role as a long-standing regional hub for DTOs which distributes to the Appalachia HIDTA due to its close proximity and ease of access via interstate highways. In particular, Atlanta has been a long-term regional distribution point for a variety of illegal substances such as marijuana, cocaine, and methamphetamine. More recent reports indicate other areas of Northern Georgia, like Dalton, are being established as source cities for ICE methamphetamine to areas within Tennessee. While areas such as Chicago, Illinois and Detroit, Michigan, have been large source cities for heroin and crack cocaine to the Appalachia HIDTA region, threat survey responses." Contrary to a stereotype that assigns distribution duties to blacks from Detroit, the survey indicated that "typical" distributors are Caucasion. Due to high unemployment and poverty conditions, members of Appalachian communities often "tolerate" trafficking as a means for "supplemental" income. Money laundering in Appalachia utilize gas stations, convenience stores and auto dealers to "clean" money. In addition, nationwide banks have branches in many rural areas. This allows a deposit in a small town and availability later that day of a deposit in a large city. These methods assist in keeping deposits under the "reporting threshold:"
"The trend continues for cash-based businesses throughout the AHIDTA to be utilized by Appalachia HIDTA DTOs to launder their money. Due to the geographic location and rural landscape of the areas that encompass the AHIDTA region, businesses such as gas stations, used car lots, vehicle repair shops, etc., are often owned by individuals in the organization and used to help “clean” drug proceeds. DTO members also utilize larger, national bank chains to move drug proceeds. These banks typically have branches throughout the U.S. and offer the ability to deposit funds in any city and easy withdrawal of those same funds from the account in another city, frequently on the same day. By understanding bank reporting requirements, traffickers can deposit and withdrawal under currency thresholds to evade suspicion." "There are, however, more recent reports from law enforcement operating in the Columbia, Kentucky, area indicating that real estate purchases and transactions are becoming a popular method of laundering money between individuals and organizations. Further analysis on this particular method will be monitored through the upcoming year." "The trend and overall threat involving ICE methamphetamine, due to seizure amounts alone, continues to be alarming. The growth of distribution and consumption is rapid. Methamphetamine production in the AHIDTA is almost non-existent when compared to previous years. The influx of Mexican produced ICE methamphetamine has hit the Appalachia HIDTA states with a vengeance." "African-American led gangs in the AHIDTA AOR are reported to be transitioning from heroin to ICE distribution. 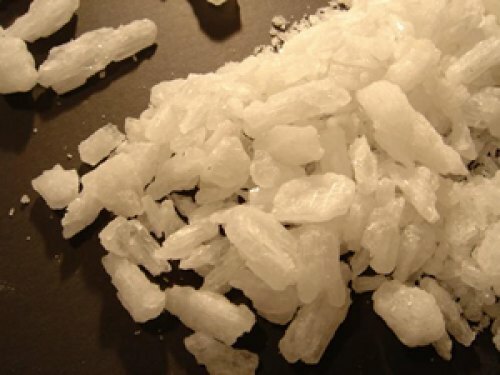 Drug cartels such as the Knights Templar or Los Caballeros Templarios (LCT) are being reported by LEA sources in the Louisville, Kentucky, area to have a heavy hand in ICE methamphetamine distribution to the region." 1. The distribution and abuse of ICE methamphetamine will continue to be one of the more significant threats to the Appalachia HIDTA, which includes obtaining product directly from Mexico. ICE is strongly linked to violent crime. Atlanta, Georgia, is one of the hubs. 2. The abuse and availability of opioid-based drugs will continue to be one of the largest threats to the Appalachia HIDTA. Price fluctuations determine drug popularity. 3. The Appalachia HIDTA region will continue to be a noteworthy region for the cultivation of cannabis and marijuana production partially due to the legalization of medical marijuana in some states. Finally, the footnotes indicate that the Cabell County Sheriff's Office, FBI Huntington, WV State Police, Wayne County Sheriff's Office contributed data to the survey. 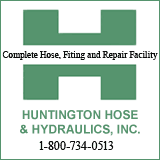 The Huntington Police Department is missing, although the Huntington Violent Crimes and Drug Task Force is listed as an initiative. The full report is available by PDF for download below.